Maria Florinda, who is originally from Sumpango, is part of this duo. She is married and a mother. 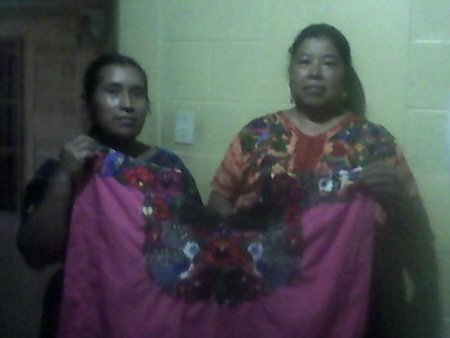 Florinda makes a living producing needlework, specifically traditional blouses. She needs a loan in order to buy raw material. As Florinda relates, the thread is expensive and she needs capital to be able to stock up on the colors needed to weave the blouses. It is the fourth loan that she requests of Kiva, and thank God, she has had no difficulty with payments. In addition, she is grateful to Kiva for the opportunity it has given her, as the loans have helped her give her children schooling. Congratulations to Maria in Guatemala!